Crystal Cruises just unveiled the most expansive roster of theme cruises it’s ever offered for the next three years. The 2019, 2020 and 2021 Experiences of Discovery voyages will present enhanced programming in specialized subjects, featuring special guest lecturers and instructors for interactive sessions on board, as well as experiences ashore that further enhance the immersive voyages. Several of the line’s all-inclusive luxury sailings will feature programming for more than one dedicated theme. 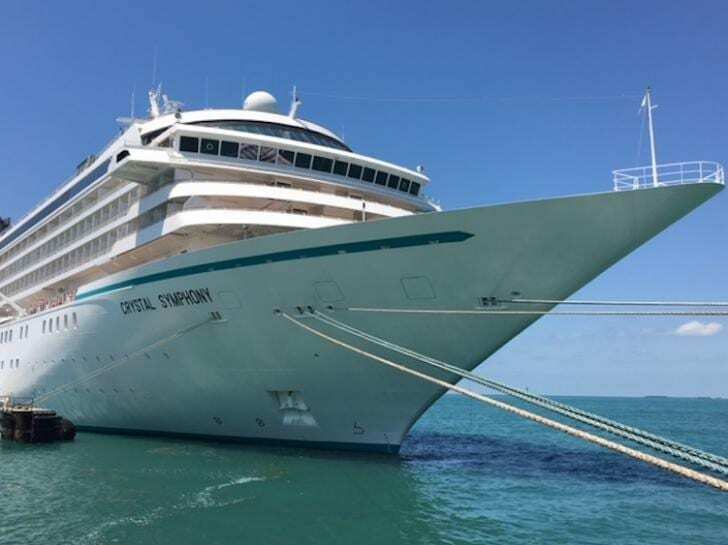 President’s Cruise: Crystal President and CEO Tom Wolber and his wife Sharon will host special receptions, Q&A sessions and an excursion ashore aboard Crystal Symphony. Sailings take place on Dec. 1, 2019 and Dec. 7, 2020. Crystal on Broadway: Crystal’s stages will feature performances and presentations from the creative talents of stage and theatre, thanks to Crystal’s partnership with Tony Award-winning Broadway producer Kevin McCollum on voyages in the Mediterranean and Western Europe, Alaska, South Pacific, Caribbean, Mexico, South America, Pacific West Coast and Hawaii. Sailings in 2019 include Jan. 5, 6 and 14, April 8, May 29, July 2, 12, 29 and 30, Aug. 10 and 12, Sept. 17, 21 and 28, Oct. 10, 11, 23 and 25, Nov. 8 and 24, Dec. 1, 11, 14, 21 and 22. Crystal Wine & Food Festival: Acclaimed chefs, wine sommeliers, mixologists and other culinary masters share their expertise with special dinners, hands-on instruction and demos, and tastings in the South Pacific, Australia, North Cape, Asia, Caribbean, Western and Northern Europe, Arabian Gulf, North American East Coast, and South and Central America. Sailings in 2019 include Jan. 5 and 14, April 26, June 21, Sept. 28 and Nov. 24. Sailings in 2020 include March 3, May 8, June 19, Aug. 30, Oct. 23 and 30. Sailings in 2021 include Jan. 5 and 21, April 8 and 24, June 13 and Oct. 27. Crystal Golf: Golfers can perfect their swing on board with PGA instructors and learn insights of the PGA tour from guest golf celebrities and experts. Ashore, they can challenge their handicap on renowned courses in Western Europe, the Mediterranean, Asia and Pacific West Coast and Hawaii, with Crystal taking care of the details, including club transport, storage and cleaning, plus special onboard instruction from pros and friendly competitions among players. Sailings in 2019 include June 10, Aug. 12 and Dec. 21. Sailings in 2020 include March 1 and July 25. Sailings in 2021 include Feb. 19, April 13, July 20, Aug. 13 and 20 and Sept. 5. Crystal Big Band & Ballroom Dance: Live daily and nightly performances throughout the ship, plus additional Ambassador Hosts for ladies without dance partners, allow guests to swing, tango, waltz and rhumba across the Atlantic and through the Panama Canal. Sailings in 2019 include Oct. 11 and Nov. 12. Sailings in 2020 include Aug. 30 and Nov. 21. The sailing in 2021 is Oct. 26. Crystal Jazz Days & Cabaret Nights: Live performances by some of today’s jazz greats and presentations from experts and historians about the legends of the craft add rhythm to the South Pacific, North American East Coast, Mediterranean, Mexico and Costa Rica. Sailings in 2019 include Feb. 19 and Sept. 28, as well as Oct. 30, 2020, and Oct. 11, 2021. Crystal Mind, Body & Spirit: Health and wellness experts from Tai Chi masters and yoga gurus to nutritionists and Cleveland Clinic medical minds will share tips for living one’s best life on North Cape, Mediterranean, Arabian Gulf, Caribbean and Australia and New Zealand voyages. Sailings in 2019 include June 21 and Oct. 25. Sailings in 2020 include May 10 and Oct. 23. In 2021, the sailing is Dec. 6. Crystal Magic: Crystal’s exclusive partnership with the renowned Magic Castle presents the sleight of hand and mesmerizing illusions of talented magicians in the Caribbean, New England and Canada. Sailings include Nov. 24, 2019; Sept. 20, 2020; and Dec. 12, 2021. Crystal Film & Theatre: Fans of stage and cinema will be treated to performances and showings of classics, plus presentations and Q&A with some of show biz’s great minds in Japan, Alaska, Europe and the North American East Coast. Sailings include May 26, 2019; Aug. 19, 2020; and Sept. 5, 2021. Crystal Ocean Views: Guest speakers join panel discussions on politics and world affairs, inviting guests to engage in Q&A sessions and real-time debate via interactive polling devices on sailings through the Caribbean, South Pacific, Africa, Western Europe, Holy Land, India, Arabian Gulf, China and Japan. Sailings in 2019 are on Jan. 5 and 14, March 13 and May 9. Sailings in 2020 are on April 3 and May 8. Sailings in 2021 on Jan. 5, 21 and 27, March 22 and April 24. Crystal Society: Returning guests will be treated to special receptions, excursions and other perks on a celebratory sailing in the Caribbean on Oct. 25, 2019; Oct. 30, 2020; and Jan. 5 and 21, 2021, and May 12, 2021.